Geez Louise! Where to start?! Hong Kong is known for its vibrant deliverance of all things edgy and hip contrasting with a rich history of when west met east. The food, the sights, the nightlife and of course its international reputation for shopping. So let’s talk shopping. You can buy anything from a $1 Harry Potter-esque broomstick to cross-trainers that transform into roller-skates at the pop of a button to the latest $100,000 Hermes Birkin. So where to start and how do you ensure you return home to Australia feeling as though you have crossed off your shopping list in just one long weekend without breaking the bank? 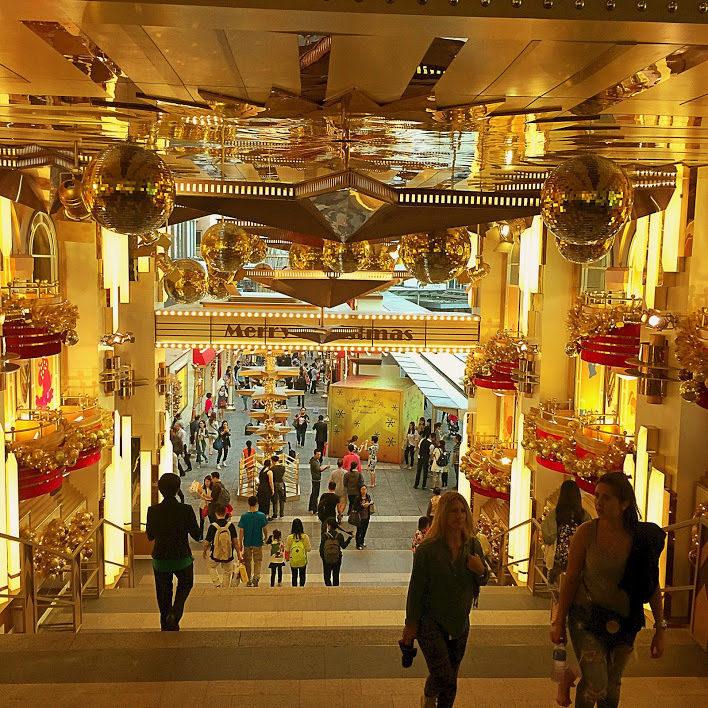 Having lived and worked in Hong Kong for more than a decade, I have had the pleasure of hosting many informal shopping trips with visitors from Down Under. The great news for you is that embarking on a long weekend of shopping in Hong Kong means you are always going to catch the sales of fashions Hong Kong is wishing to purge to make way for new fashions arriving straight from the catwalks in Paris and New York. The even better news is that if you know where to look you can get the same designer fashions at a fraction of the cost by purchasing “same as originals, colour no fade” … or as us Aussies call them “knock-offs”. First things first, when you clear customs at Hong Kong International Airport, make your way to the MTR ticketing booth in the Arrivals Hall and purchase yourself an Octopus travel card. The name is exactly what it suggests, an electronic card that when charged with Hong Kong dollars gives you long-reaching tentacles that allows you entry to all types of public transport with a quick zap upon entry of the transport mode. I have advised many an international traveller in the train station who is struggling to find the correct change to buy a one-off ticket to their next tourist attraction. By having an Octopus card, you will save time and frustration not to mention looking like a pro when getting around Hong Kong. If you are looking for tailoring or have a favourite piece of clothing that you have worn to death and still can’t part with, Hong Kong is the ideal place to have it copied. Take a walk down Nathan or Canton Roads on Kowloon side and without doubt you will cross paths with dozens of Indian tailors looking for business. Many tourists will agonise as to which tailor to use given the amount of offers so my tip is this: Talk to the tailors and pick one you connect with and who you feel is authentic to provide you with what your looking to have made. Bartering the cost down is best once you are back in the shop and have had the measurements taken, but beware – you get what you pay for – so it is always better to pay that little extra so both parties are happy with the transaction, it could mean the difference between single or double stitching back at the factory. Once both parties have agreed on price it is considered rude to try and negotiate at a later stage so if you happen to swap stories with other travellers who claim they may have got a better deal elsewhere, don’t allow that to distort your original feeling of value when you made your own deal. Always insist on at least one fitting and take along your old piece as a guide and if you have buttons from your old piece be prepared to have them re-fitted on the new garment to enhance the look and feel of your new purchase. Finally, give plenty of time for the tailoring process. With this in mind, your first morning in Hong Kong should be dedicated to get the tailoring process rolling. Oh, and I say morning, because it is the beginning of the business day and superstitious tailors will be looking to get an early purchase to make for an auspicious day of sales so you may have more bargaining power earlier rather than later in the day. Lastly, if budget is not an issue then there are always tailors available in fancy shopping centres like Times Square, Pacific Place or The Landmark on Hong Kong Island – but beware – rents in these affluent malls are as high as the malls themselves and your tailoring invoice will reflect this. You can get pretty much the same fabric and quality of tailoring on Kowloon side so long as you don’t mind a more thrifty looking shop-front. 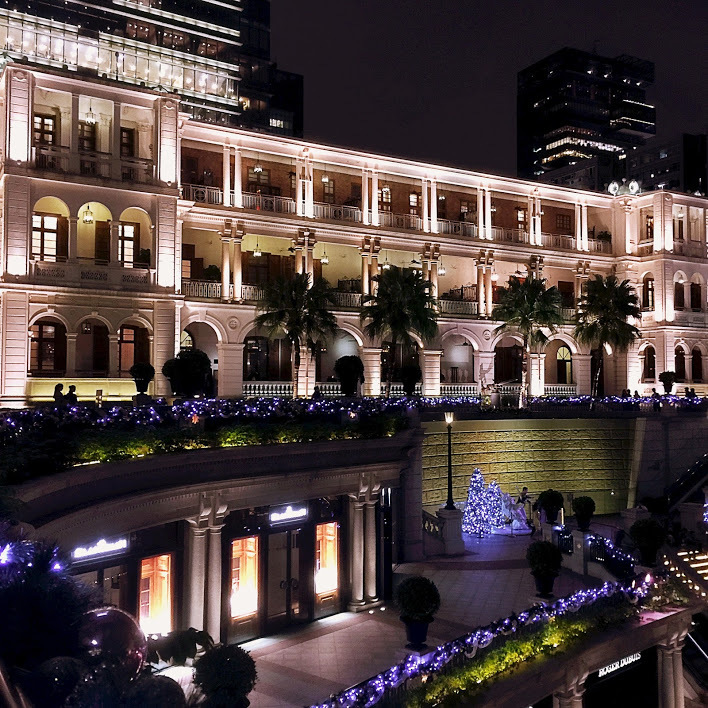 Hong Kong is a great place for shopping all year round. If you know the sales seasons, you can save some money and pick up the upcoming fashions yet to reach Australia. Hong Kong usually has two sales seasons: winter sales (December to February, especially around Christmas and Chinese New Year) and summer sales (July to September). These sales are mostly found in big shops, department stores, and shopping malls. Hot tip: Adopt the “Don’t ask, don’t get” and “better in my pocket than yours” strategies. Ask all sales assistants if there is a special deal including at the register as there are countless discounts and value-adds not necessarily obvious to the western traveller, and like Australia, not all sales assistants are clued in and on top of the offers so ask all employees to the brink of annoyance. There are a great many markets in Hong Kong to browse away a morning or afternoon. Take the green line on the MTR to Prince Edward station and find your way to Prince Edward Market on Fa Yuen Street. Try to get there around 11:00 earliest, any earlier and you may be interrupting the stall owner’s breakfast. Hint: Their noodle soups, milk tea and half a dozen smokes take precedence to consumers early morning! If you do arrive early, find yourself a nice little noodle shop and order a fish-ball noodle soup, the taste is much better than the name suggests and it will give you shopping mojo for the next few hours. Prince Edward Market has a mixture of stalls selling everything from European factory clothing, fake designer bags, real designer bags, silk, western men’s and women’s clothing, label sportswear, t-shirts … the list goes on. The prices are more expensive than other Asian cities such as Bangkok but if you take the time to look around the market, you can pick up some great deals. Shops and market open 11am to 8pm or later. Unless you are an avid people watcher or you enjoy feeling the crush like a sardine, avoid lunchtimes and Sundays. Hot tips: Bring a large bag, preferably on wheels or a backpack. It is mostly cash only and very little room for barter. Take a bottle of water and a small pack of convenience tissues available for purchase in any 7 Eleven. Toilets are in Ikea (next to their check-out which is on the 2nd floor in the large pink/glass building you see opposite the B2 Exit of MTR. It’s the only place around there). Keep your hand on your wallet/bag. Note you cannot try on clothing in most of these shops. Bring a list of measurements. Most shops have a tape-measure to check items – do not rely on the size on the labels. An XL in Hong Kong is roughly the equivalent to a medium in Australia. The Flower Market is on the opposite end of Fa Yuen Street, across Prince Edward Road West – take the camera as it is a colourful street in the midst of old commercial Hong Kong. The Bird Market follows on from the flower market and is an amusing visual treat. Not only will you see an array of bird species, but you will witness older Chinese gentleman taking their caged canary or finch for a walk. It makes for an interesting photo and is a great dinner story back home. Mongkok (or Mong Kok) is also on the green MTR line and is filled with markets, shopping malls, small shops, food stalls, small restaurants, and tonnes and tonnes of pedestrians! This densely populated part of Kowloon side has a kitschy charm and is teeming with street markets and specialty shops to the point where you can find a street where the stores along it specialise is selling goldfish or puppies. If you are shopping on a budget, this is the place to be but you need to bring you’re A-game and be in serious haggling mode. If you are the non-haggling, retail-buyer type, best to just window shop here or bring someone who can haggle themselves to death, otherwise you can be sure to be out-haggled by the more experienced shopkeeper or pay 10 times the price you should have paid. Ladies’ Market, Kowloon: Ladies’ Market in Tung Choi Street is a great destination for the fashion conscious and those with an eye for bargain-priced sport shoes, watches, clothing, stationery, and cosmetics. Temple Street Night Market, Kowloon: Is a wonderful place to shop and to eat. It has an astonishing variety of clothing, CDs, hardware, pens, trinkets, watches, and luggage. Jade Market: It is crowded with stalls selling jade items. It is a nice place for tourists to spend a morning browsing and soaking up the atmosphere. Back on Hong Kong Island, Stanley Market is a perfect half-day activity. Find your way to the large bus station at street level underneath the Exchange Square office buildings in Central district. Catch the double-decker X6 Express to Stanley and try to get front seats on the top deck of the bus to ensure a heart-pumping, adrenalin-filled (yet surprisingly safe), ride along the windy peninsula through the south side of Hong Kong Island all the way to Stanley. Stanley is the perfect place to buy something special and reasonably priced for friends or relatives: Chinese artwork, silk collectibles or your family name written in Chinese calligraphy, as well as larger-sized clothing. There is a jewellery shop there that is single-handedly responsible for half of my mother-in-law’s dress jewellery! Stanley waterfront is lined with some lovely restaurants at all price points offering western and Asian cuisines. Meander through the markets and then relax with a meal and an ale or vino afterwards whilst watching the busy tanker ships passing by in the distance. So there you have it, a long weekend of market shopping in Hong Kong. 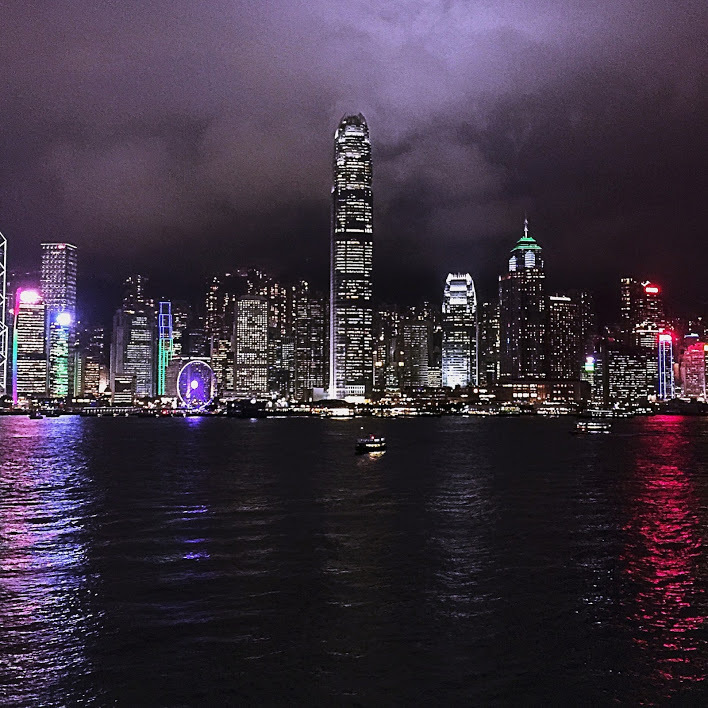 If you manage to cross off the above suggestions in three days then you have done remarkably well … Hong Kong has much, much more to distract you!